Wn Trou012 Villerville les Hautes Bruyéres H.K.B., StP Gruppe Trouville, K.V.A.'G'. 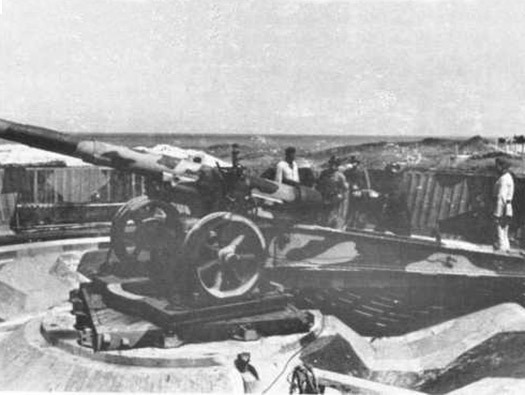 A Batterie of 6 x 15.5cm K.420(f) guns. I have not visited this site. There were two Vf58c Tobruk's, one attached to the roof of an R501 and the other towards the rear of the site. 4 x R679 (3 under construction). 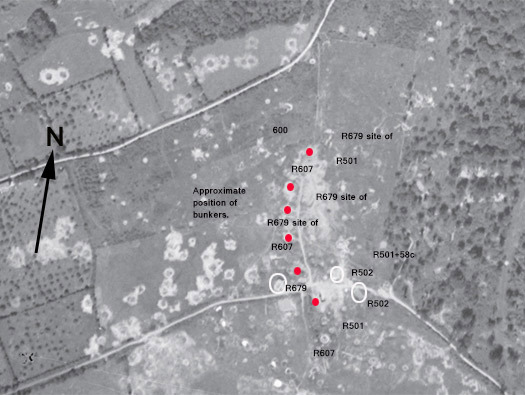 6 x Geschützstellung open emplacements. 2 x R501 (1 + 58c Tobruk). 3 x 2cm KwK 38. The German plan of all the Widerstandsnest in the Trou area. 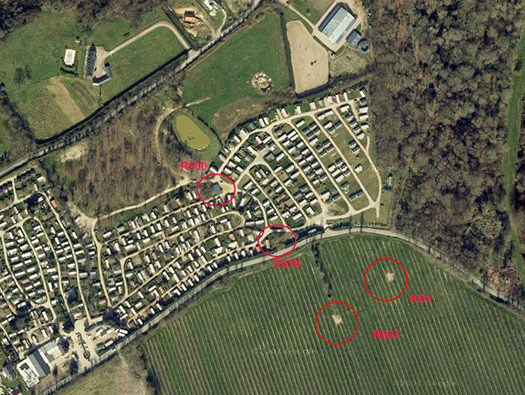 Today a caravan site, I am not sure if the one R679 casemate is still in place, there is a mound there? 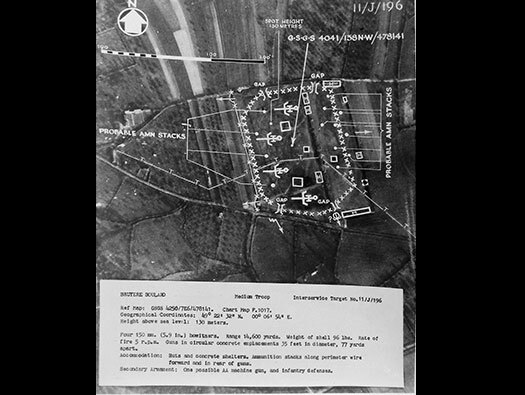 R501 + 58c Tobruk plan. R600 but may have had a 2cm Flak 38. 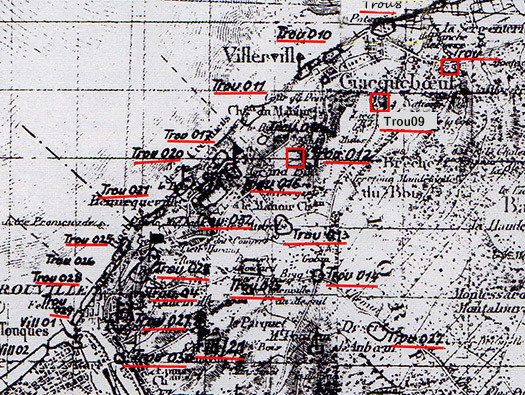 DEFE 2-375 Battery photographs Cherbourg to Honfleur. Four 150mm. (5.9in.) howitzers. Range 14,600 yards. Weight of shell 69 lbs. wire forward and in rear of guns. Secondery Armament : One possible AA machine gun, and infantry defence. 1943. Initially a battery of 15.5cm s.F.H.414, this battery was removed and 1./H.K.A.A.1255 arrived. Just prior to D-Day the battery was bombed heavily and then on D-Day HMS Warspite. R607 ammunition bunkers. Shells in one half and case in the other. HMS Warspite firing on D-Day..
15.5cm gun inside an R679 casemate at Mont Canisy. There was only time to build one casemate here at les Hautes Bruyéres and this is how it may have looked like this. Inside the gun room with a steel shield covering the guns embrasure. 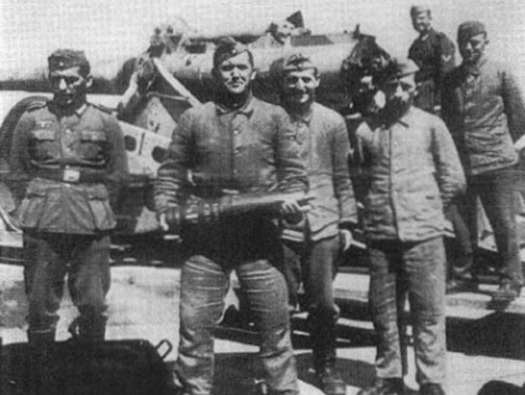 Guns crew ready for action at their 15.5cm K.420(f). There was also a 10cm le.F.H.14/19(t) probably used to fire star shells to illuminate the enemy. 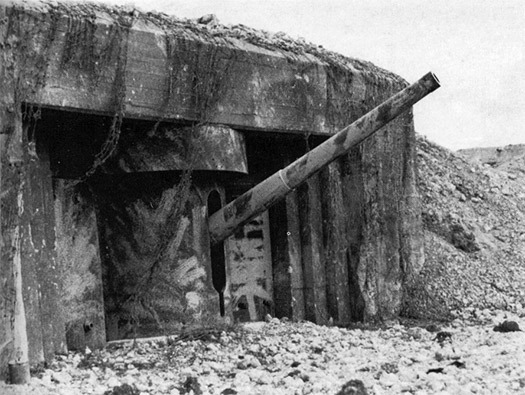 A 15.5cm K.420(f) in an open emplacement (Geschützstellung). My drawing of the battery observation post built into a prominent house. R502 twin group bunker were the barracks of the guns crews. R501 group shelter. 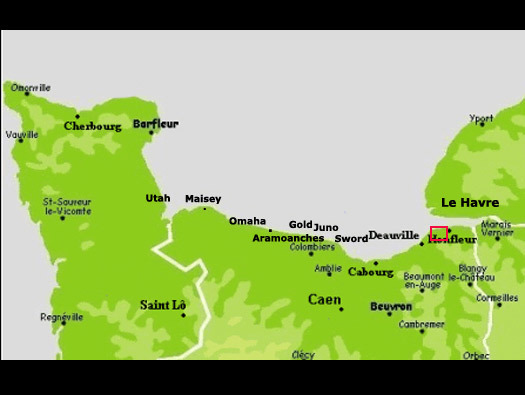 The eastern 501 was the batterie commanders command post. 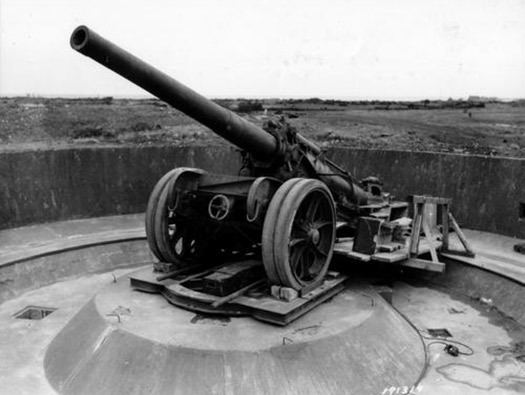 15.5cm K.420(f) possibly at Gatteville, Manche.